Los Angeles’ Jewish food scene is reflective of the city itself: sprawling, ethnically diverse, and innovative. Chefs and restaurateurs no doubt draw inspiration from the abundance of locally-grown fruits and vegetables, the smoked meat and fish from the delis that initially catered to New York transplants, as well as the Persian-Jewish community and the massive influx of Israelis. Recently, California cuisine has been influencing all sectors of Jewish food in L.A., with seasonal menus and naturally fermented vegetables showing up in the city’s newest Jewish delis. 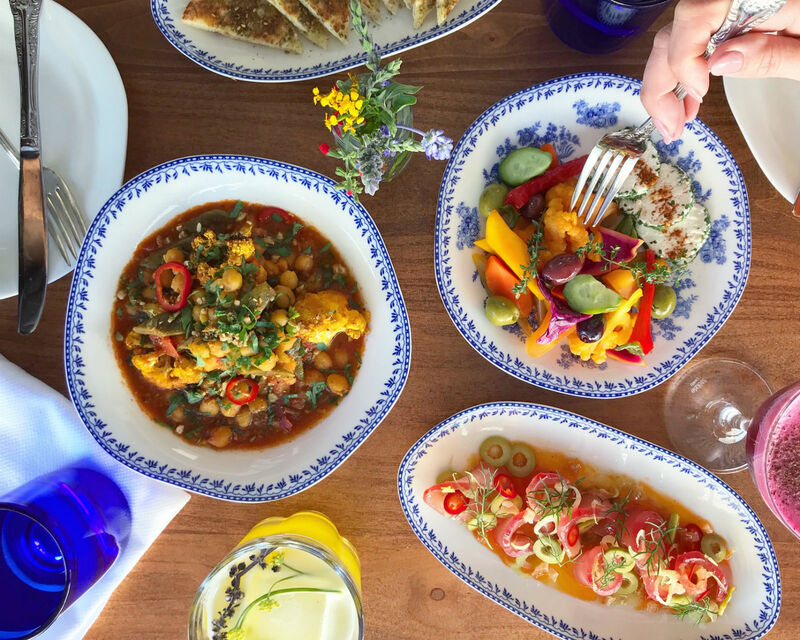 And as the Israeli population of L.A. continues to grow (it’s now estimated to be the second largest outside of Israel), you can find traditional and modern Israeli restaurants all around town — some owned and operated by Israelis and the rest by young Jewish American chefs inspired by Middle Eastern flavors. You can pretty much find whatever Jewish food experience you’re looking for in L.A. Swing by Beverly Hills for a taste of nostalgia in Nate’n Al’s classic matzah ball soup. 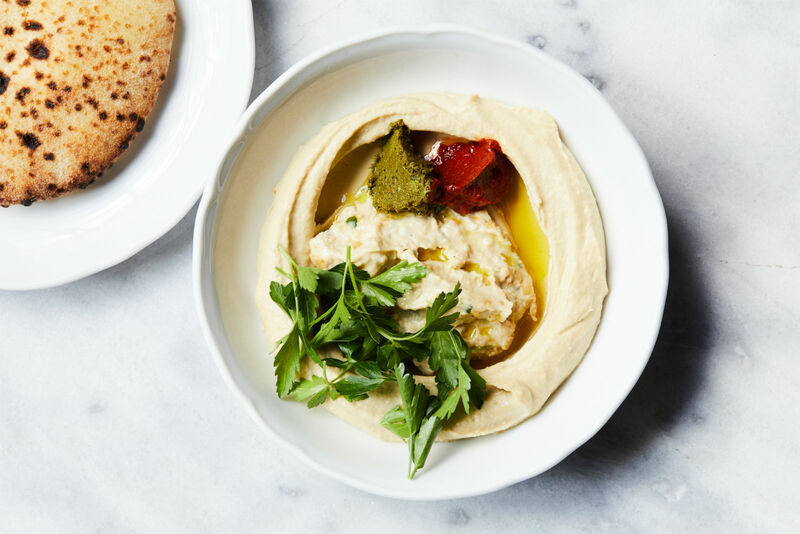 To be transported to the busy streets of Tel Aviv, line up for creamy hummus topped with homemade seasonal pickles at Mh Zh in Silverlake. For bright and trendy new California dishes with Jewish backstories, Kismet and Sqirl in L.A.’s Eastside may surprise you. For bagels and breads, fantastic bakeries and bagelries are scattered throughout the wide span of the city. And for the adventurous among you, plug into the many pop-up dining experiences hosted by exciting chefs on the rise. Each listing in this guide will be worth the traffic in which you will inevitably sit to get there, and if you’re wise, you’ll order something to-go for the trip back. It may come as a surprise to East Coasters, but Los Angeles has a strong and growing bagel scene. Most of L.A.’s best bagels are on the Eastside, where you’ll find classic NY-style bagels with tried and true schmears, as well as Cali-fied sandwich creations. Belle’s Bagels in Highland Park offers a bagel topped with cream cheese, roasted beet purée, and dill. The Yeastie Boys operate a roaming bagel truck that serves, among other offerings, an everything bagel with vegan sundried tomato spread topped with sprouts called “The Mishka” and a bagel Reuben with Ugly Drum pastrami. 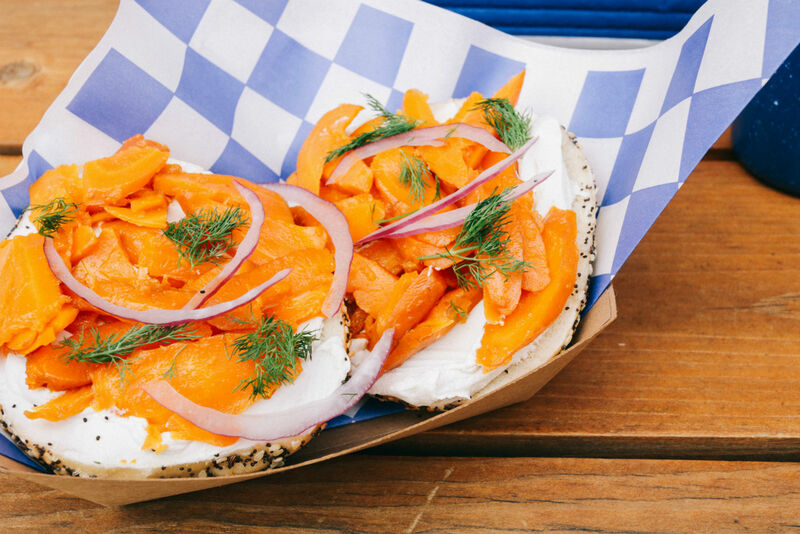 Maury’s at the Hollywood Farmers Market will serve your bagel open-faced with labneh, tomato, cucumber, and za’atar and they have also havea shop in Silver Lake serving hot bagels and smoked fish. If you’re craving a Montreal-style bagel, follow Courage Bagels’ pop-ups on Instagram. And, of course, a number of bakeries and delis listed below also have great bagel offerings on the menu, such as Wexler’s which is featured in the above photo. Despite what seems like a city-wide aversion to carbs, Los Angeles has an enviable artisanal bread-baking scene. Lodge Bread produces some of the finest whole grain sourdough breads in the state from flour they mill on site. The bakery side is certified kosher and they serve a limited number of mahogany-brown, naturally-leavened challahs on Fridays, reflecting the Jewish heritage of chef/owners Alexander Phaneuf and Or Amsalaam. On the café side, you’ll find a smoked fish plate, perfectly swirled babka, and pillowy charred pita, which you can order stuffed with fresh vegetables, labneh, and tahini. For a more traditional kosher bakery experience, Got Kosher? and Bibi’s Bakery have you covered. Got Kosher?’s chef/owner Alain Cohen’s pretzel challah is a town favorite, and it comes in multiple flavors, like Belgian chocolate and challa-peño. Bibi’s will make sure to supply you with kosher bakery staples like black & white cookies and rugelach, but save room for some savory and equally excellent pitas, pizzas, and sambusak. Beverlywood Bakery is the oldest standing bakery in Los Angeles (established in 1946) and carries all of your Ashkenazi bakery faves, from rugelach to challah to hamantaschen. *The bakery in this establishment is kosher-certified. L.A.’s old school Jewish delis were established mid-century, and most of them retain that timeless 1940s vibe. There’s comfort in knowing that there’s always a giant matzah ball floating in golden broth awaiting you. 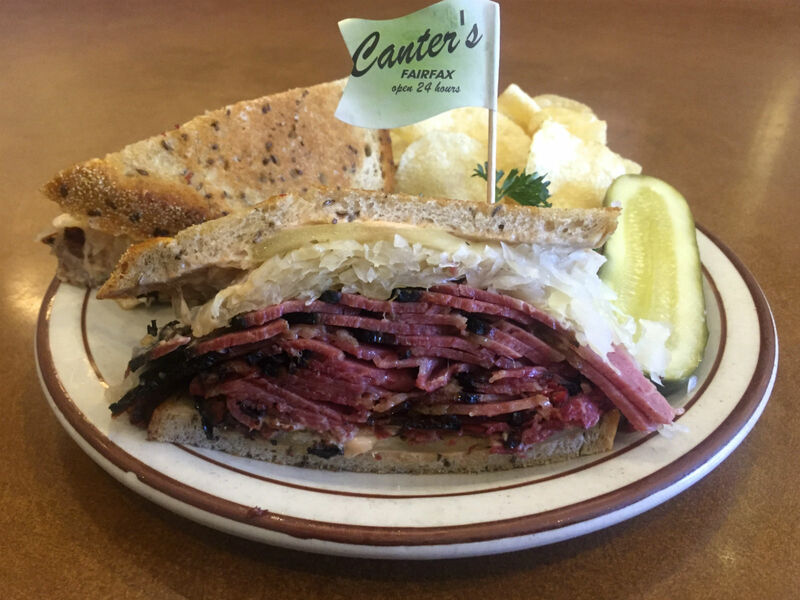 At Langer’s, the pastrami sandwich with creamy coleslaw, Swiss cheese, and Russian dressing on twice-baked rye is so famous you can order it by its number (#19). Canter’s is all about the ambience, with its plentiful booth seating, unchanging decor, and a welcoming pastry counter replete with multiple varieties of rugelach. 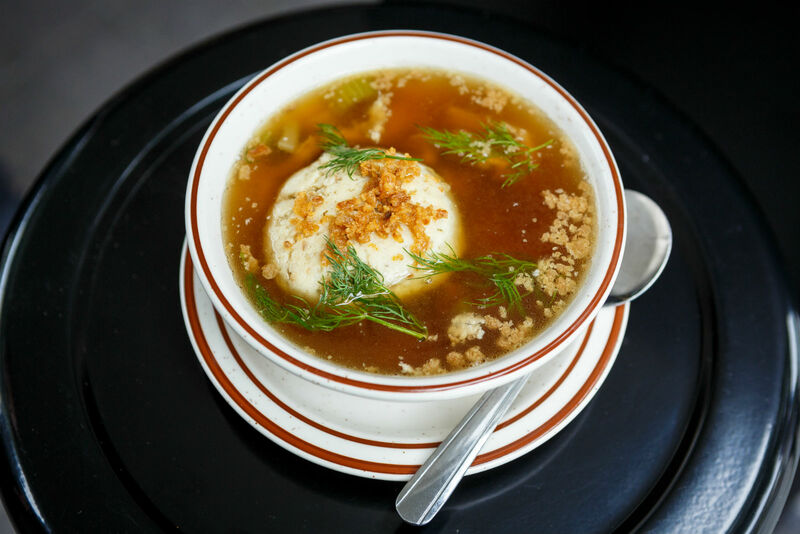 Nate’n Al arguably has the best matzah ball soup of the bunch, and its location in Beverly Hills means that soup is often served alongside a celebrity sighting. A new generation of delis is successfully reinvigorating L.A.’s devotion to smoked fish and pastrami. 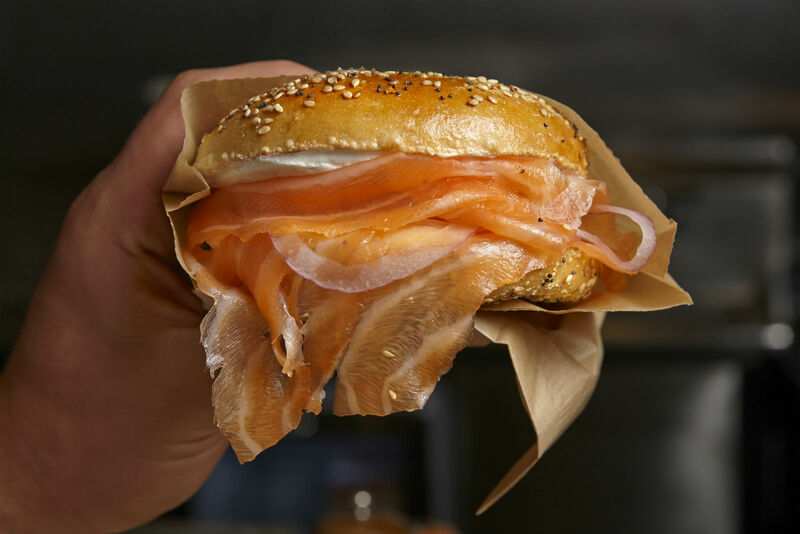 Established in 2014, Wexler’s Deli has upped the game with its delicate, paper-thin slices of house-smoked lox, high quality housemade pastrami and corned beef, as well as its nostalgia-satisfying chocolate egg creams. With its hip aesthetics and its mix of L.A. style and Jewish deli classics, Freedman’s quickly became one of the hottest restaurants in the area. Traditional rich matzah ball soup and tender smoky brisket are stars. If you’re feeling adventurous, Freedman’s offers twists on the staples like the latke waffle with lox, whitefish cigars, and a salad that features half-sour pickles and California avocados. If you’re looking for a kosher spot for a great deli sandwich, check out Jeff’s Gourmet Sausage Factory. Jeffs’ carries deli specialties, though it’s known for its array of homemade sausages, from the beef and garlic kielbasa to the boerewors, a South African style beef sausage. Daughter’s Deli, the brand new entry to the local deli field, is an homage to Langer’s, the co-owner’s family’s iconic L.A. restaurant, with sandwiches named after family members. The menu is very traditional: matzah ball soup, whitefish salad on a bagel, pastrami, corned beef, egg creams, kaiser rolls, rye bread, etc. Though unlike Langer’s, the space is modern, and is located in West Hollywood, a vibrant neighborhood in the heart of the city. Pro tip: Every Sunday, check out the array of vendors at Smorgasburg DTLA. In particular, grab a sandwich from Ugly Drum, a homegrown pit-smoked pastrami producer that some say is the best in town. Los Angeles’ Persian population is so large that you’ll often hear the city affectionately nicknamed “Tehrangeles.” The Persian community has gifted L.A. with an abundance of markets, cafés, and restaurants. Kabob by Faraj, which happens to be in the heart of L.A.’s most Jewish neighborhood, Pico-Robertson, is one of the best Persian eateries serving authentic, delicious, kosher and Persian Jewish dishes. The kabobs are perfect, but so are their other Persian classics like salad oliveh and tahdig. Also worth trying their famous Shabbat soup made with chicken broth and chickpeas. Dine with a large group in order to enjoy as many tempting menu items as possible. Kolah Farangi is another Pico-Robertson kosher Persian restaurant, but with an added sprinkling of Chinese food on offer to satisfy the wide range of its diners’ tastes. At Kolah Farangi, the menu is written in both Farsi and English, and you can order up Persian Jewish classics like kabobs, ghormeh sabzi, and soltani — a combination of kabob barg and koobideh. There have been a new bunch of wildly popular restaurants introducing innovative Israeli food to Angelenos. At Chef Conor Shemtov’s Mh Zh (pronounced “mah zeh”), the menu changes seasonally, but you’ll always find house-pickled vegetables, the creamiest hummus around, and a tender lamb ragu. At Bavel, Chefs Ori Menashe and Genevieve Gergig have built a menu honoring their Israeli and Sephardic lineage, including foie gras halva (a pâté with date purée and black sesame), an oyster mushroom kabob spiced with cardamom and sumac, and a crispy layered malawach flatbread served with dill creme fraiche and strawberry zhoug. 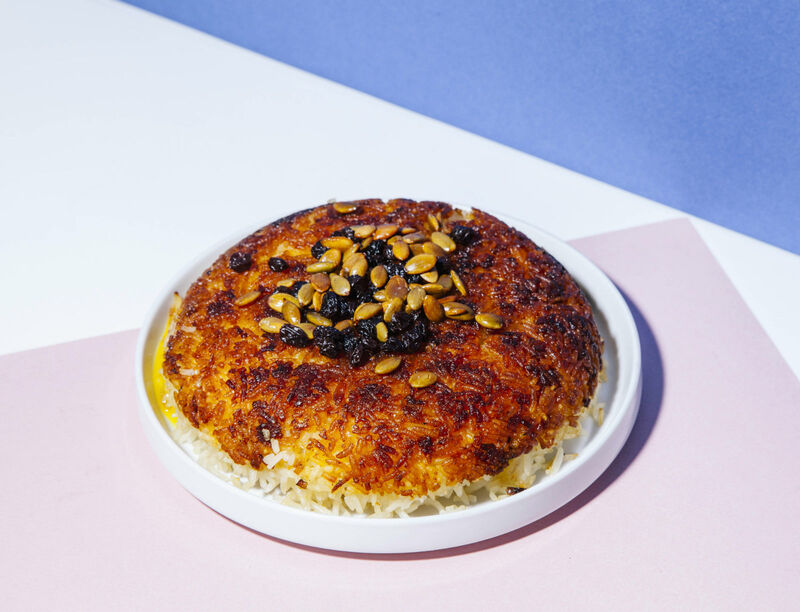 Chef Anne Conness’ Jaffa brings sweet potato hummus, Yemenite kubaneh bread, hawaij-spiced matzah ball soup, lamb kofte, and other amazing flavors of Tel Aviv’s ancient neighborhood to mid-city. 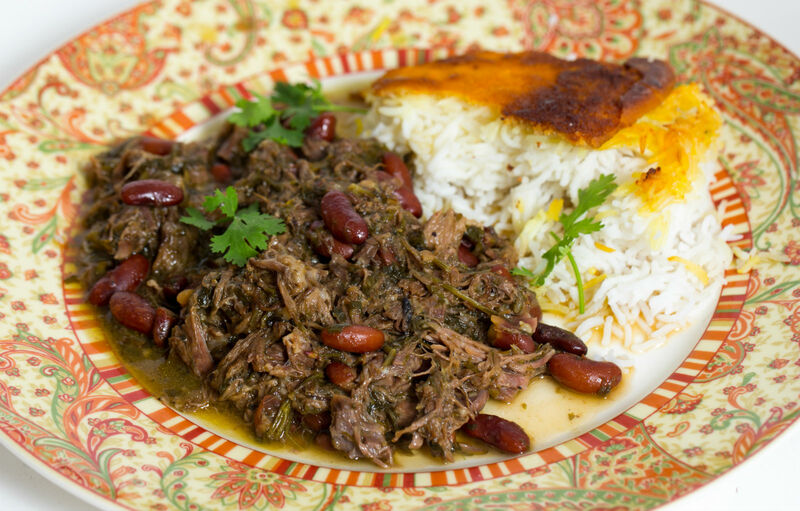 Hasiba is a kosher-certified hummusiya in Pico-Robertson from the Lodge Bread chef/owners. 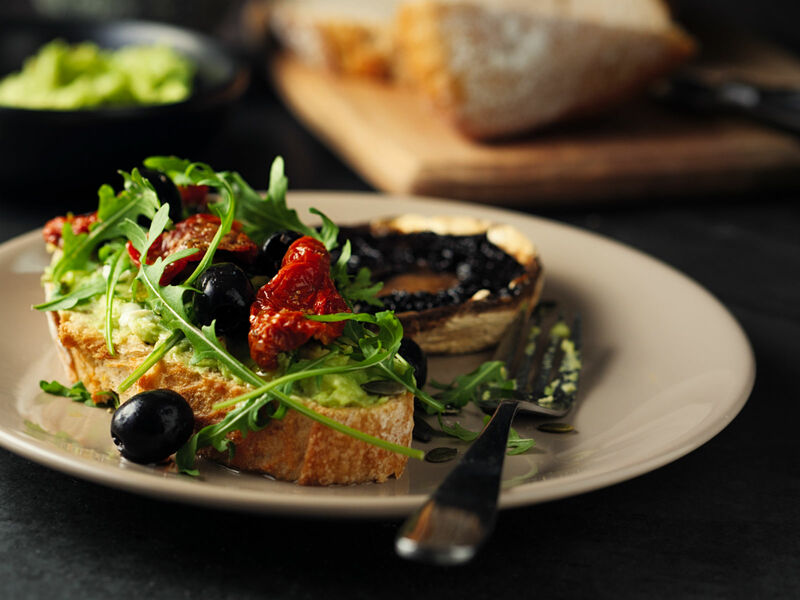 The focused vegetarian menu celebrates local and organic produce and offers a variety of hummus styles, shakshuka plates, and pita sandwiches, like sabich. Tel Aviv Grill is favorite for shwarma and is kosher-certified. 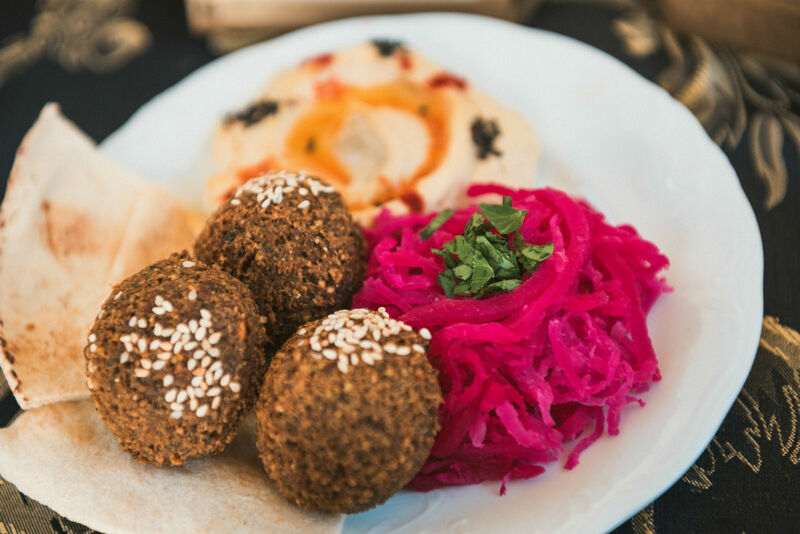 The San Fernando Valley is home to many falafel outposts serving crispy fried chickpea balls topped with tahini, pickled vegetables, Israeli salad, and hot sauce. Amir’s is one of the standouts. Initially opened in Jerusalem by a Jewish Yemenite couple in 1939, their son Yehuda opened an outpost in L.A. when he immigrated to the U.S. in 1982. Dune is another town favorite newer to the scene. With three locations from the Westside to the East, Dune’s falafel is made with organic, sustainable, and local produce, wrapped in homemade flatbread, and filled with crispy shoestring potatoes. L.A. is blessed with high-quality kosher markets where you’re bound to hear Hebrew, Yiddish, and accented English throughout the aisles. Cambridge Farms, Elat Market, and Super Sal Market supply pomegranate molasses, fresh cuts of meat, and prepared Israeli salads; just be ready to elbow your way through the aisles if you’re shopping during the pre-Shabbat rush. And deep in the San Fernando Valley, surrounded by strip malls and nondescript office buildings, you might just miss Tashkent Produce, a small market/deli named after an important Uzbeki city. It’s filled with a wide range of foods from across the former Soviet Union, though cans of Israeli instant coffee might tip you off to its Jewish flourishes. You’ll find a deli case full of cured fish and meat, a freezer packed with dumplings, and a small kitchen where hardworking cooks are turning out hot piroshki, stuffed cabbage, schnitzel, stuffed peppers, and beef tongue salad. The food is labeled in Cyrillic, but the employees are happy to guide you. There’s also the wonderful Super Sun Market, a Persian specialty shop with the likes of rose petals, saffron, and high-quality teas. There is a surge of young chefs merging California-style cooking with their Jewish heritage. Head over to Jessica Koslow’s nationally renowned Sqirl in Virgil Village where you’ll be rewarded for your wait in line with shaqpeas (shakshuka made with black eyed peas), kabbouleh (kale and crispy rice tabbouleh), and “The Larry David” (Danish-style toast topped with house-smoked whitefish and lacto-fermented pickles), in addition to innovative toasts and jams. Meanwhile, chefs Sara Kramer and Sara Hymanson immediately received national recognition and accolades when they opened Kismet in 2017. At Kismet, you can start your day with housemade labneh, barbari bread with zhoug, and marinated feta. If you’re feeling sweet, try either the tahini “nutella” or cinnamon babka toast. At dinner, don’t miss the jeweled Persian-style crispy rice or the lamb belly with seasonal vegetables and carob. One of L.A.’s newest talked-about ventures is both Jewish and plant-based. Chef Megan Tucker’s Mort and Betty’s operates a monthly pop-up veganizing Jewish deli food. The ambitious menu includes mushroom pastrami sandwiches, carrot lox, carrot whitefish salad, bagels, and latkes, as well as baked goods like challah and rugelach. Keep up with the latest events on Facebook and Instagram. Elina Tilipman and Sarah Klegman are two dynamic personalities that founded Challah Hub, part pop-up challah company, part online challah movement, which runs one-time challah pop-up sales, delivers challah to homes for holidays and special events, and makes specialty challahs, from vegan to matcha-infused. Tilipman also co-founded Kneydl Bar with David Andreone and Sonya Sanford (one of the writers of this list), an occasional pop-up that brings guest chefs to L.A. to riff on matzah ball soup in order to raise money for charity, like CHIRLA (the beneficiary of the inaugural event). Speaking of pop-ups, Pop’s Bagels sells made-to-order bagels at events and outdoor food halls like Smorgasburg. 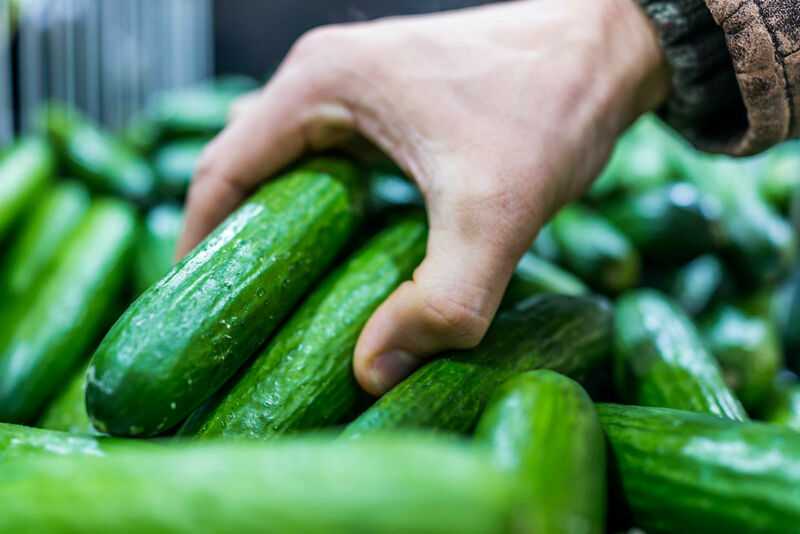 And, if you want to learn more about the bountiful produce in southern California, don’t miss a farmers market tour with the singular Amelia Saltsman, author of The Seasonal Jewish Kitchen. This is a pop-up. Check their website for location. Check their website on orders and deliveries. *This is a kosher-certified operation. This is a pop-up. Check their website for upcoming events. Book an event on their website. Contact Amelia directly for a Jewish-specific tour or any other tour info. With input and insight from local experts: Rabbi Adam Allenberg [Hebrew Union College], Jeff Miller [Thrillist], Mushky Perlstein [NELA CHABAD), Lara Rabinovitch [writer and specialist in food culture], Tannaz Sassooni [All Kinds of Yum],Danya Shults [DanyaShults.com] and Elina Tilipman Gitig [ChallahHub].